Paul is a co-founding partner of MMKR. 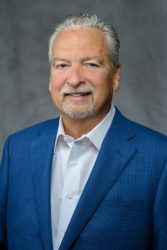 Since 1980, he has dedicated his services to meeting the unique accounting, tax, and consulting needs of a wide variety of closely held commercial businesses and individuals with an emphasis in the construction and real estate industries. For this clientele, Paul has advised on the various accounting issues and on the multiple levels of financial reporting required for their bonding and financing requirements. He also helps these organizations and individuals evaluate potential transactions involving sales, purchases, exchanges, and development initiatives by providing cost studies, tax implication analyses, and cash flow analyses. In addition, Paul has also served as an expert witness on accounting matters in legal cases, and has provided clients with financial services such as auditing, accounting, and tax preparation. Paul graduated with a Bachelor of Science degree from St. Cloud State University. To that he adds training on an annual basis through a topic specific continuing education program. This program allows him to maintain and enhance his tax and business knowledge base in order to best serve his clients in the continually changing environment in which they operate.